In mining, blast movement and its effects on ore loss and dilution can be difficult to accurately quantify. This problem is sometimes poorly understood by those in the industry, but represents huge economic consequences. In fact, mine-based case studies suggest that tens or hundreds of thousands of dollars per blast can be lost if blast movement is not accounted for. Blast Movement Technologies (BMT) was created to provide the mining industry with a solution to this problem. With their unique and easy-to-use technology, BMT can more accurately determine ore boundaries after blasting – and they have the potential to increase an operation’s revenue by millions of dollars per year. This is all done by tracking 3D blast movement. The most visible component of the company’s system is the Blast Movement Monitor (BMM) – a small, round object roughly the size of a softball. With a long battery life, the BMM is powered on using an Activator, which also provides some programmable ability. The BMMs are then placed within drilled holes within the blast. When the blast is detonated the BMM moves with the exploded rock and acts as a target that can transmit its location from under 25 meters of rock and debris. BMMs are hardened to withstand the stresses and impact that blasting will have on any material. Another component of the BMM System is the Detector. With this, an operator can locate all of the dispersed BMMs within an hour of their search. The information gathered is then processed and analysed by the final component of the system, the BMM Software. Much of the company’s recent R&D effort has focused on that software, which is critical to the system. It enables sites to quickly and efficiently process the data from the BMMs and determine the post-blast location of the ore zones – it makes the BMM System a practical, daily production tool. The BMM software captures and combines a wide spectrum of expertise from disparate disciplines such as mathematics, computer science, electrical engineering, blasting, geology and mining engineering – presenting the information in a way that elevates a novice to blast movement expert after a few days training. For example, prior to 2005, calculating the movement vectors and translating the ore took all day by a highly skilled consultant. Using BMM Explorer, a junior technician can now do more than that in about five minutes. At the end of the day, the final result is the most accurate ore polygons to account for blast movement. The analytics are then processed using Blast Movement Technologies’ advanced and unique algorithms that were developed through years of research, commenced with the University of Queensland. In all, the system works to increase yield. A year of monitoring with the system can pay for itself by monitoring just a few blasts – “sometimes as little as one blast,” according to Darren Thornton, Director of the company. From the start, this technology has been successful at capturing a solid market share, and they have earned the satisfaction of many clients. Moving forward, Thornton aims to more aggressively market their systems to the world, and really capitalise on the opportunities he’s been developing for more than 10 years. “I used to work for the University of Queensland in the Mining Research Centre, doing blast consulting and mine to mill research,” Thornton says, describing the origin of the business. “At the time, the mining company – Placer Dome, now Barrick – came to us with a problem. They wanted to know if we could track blast movement because they were having trouble with controlling ore dilution within their mines. We did some research and got a prototype working fairly quickly – this was back in 2003,” he says. Soon after, Thornton identified the opportunity to commercialise the system more effectively external to the University. 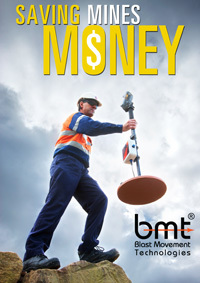 BMT was thus created in January 2005, in conjunction with a joint three-year research project with the University of Queensland and Placer Dome. BMT lead the R&D and commercialisation at a rapid pace and had a saleable product by December 2005. From there, the core technology was licensed from the University until 2010, when BMT purchased their share of the IP. Thornton has spent a lot of his time and shoe leather getting the technology in front of the industry and building BMT’s market share. Even with the obvious interest from the mining industry and Barrick Gold, Thornton says that developing a company from the ground up was not the easiest thing in the world to do. Thornton estimates that some mines lose up to 20 per cent of their ore in the blasting process, without really understanding why. 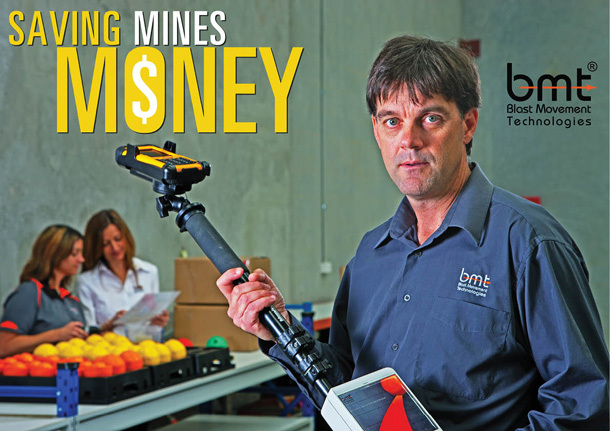 When developing their technology, BMT engaged directly with the mining industry so they could ensure development was relevant and practical. They were also able to refine the technology to satisfy users’ specific requirements. Because this development was done “at the workface,” BMT was able to create a real-world product, satisfying the broad requirement will focusing on usability in a production environment. So far, BMT’s concentrated on the gold mining industry, but the use of their technology covers many other minerals as well, such as the platinum, iron ore, nickel, zinc, and copper. “It works with any sector that uses open pit mining, and all mines can benefit from it,” Thornton explains. Thornton sees that they have many sectors in which they can serve, but is looking specifically at the iron ore sector. They already have several iron ore mines using the BMM System in Australia, Canada and – most recently – South Africa. 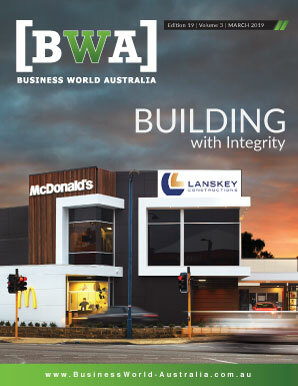 By offering that kind of value potential, BMT has earned the attention of several prestigious industry bodies. Since 2006, the company has been regularly receiving awards due to the innovation and application of their technology. Most recently, they captured the 2013 Premier of Queensland’s Export Award for Information and Communication Technology (ICT). This has lead them to be nominated for a second, national award, with the Australian Export Awards. Winners will be announced on the 26th of November. “I think that some of the reason for this is that year on year we have had 40 to 50 per cent sustained growth. We have been through the GFC and were able to grow through that. Even with the mining downturn this year we are still growing,” says Thornton. He also says that BMT’s exceptional ability to export the product has also helped them earn industry attention. They also offer a truly unique technology, he adds, which also goes a long way to achieving recognition within the industry. And the fact that they do not require a massive sales force also speaks the large appeal that BMT’s technology has. BMT’s comprehensive service and technology represents an undeniable opportunity for client’s to increase revenue. As an example, Thornton cites KCGM, the largest open pit mine in Australia. Before they started working with BMT, they estimated their ore loss was significant.